Why exhibit at Maker Faire San Diego? It’s all about what people can MAKE! It’s also the perfect opportunity for you to share your work and have fun with a curious and appreciative audience in San Diego’s BALBOA PARK. Play-test your creations with attendees excited to learn more about your craft. Exhibiting? Interested in seeing what it takes to exhibit? Here’s your Maker Toolkit! Check back regularly for more information and links, or sign up for our newsletter and be notified! June 1 — Applications open. August 1 — Final application date for exhibits with fire and/or safety concerns: submit a General Safety Plan and/or Fire Safety Plan (forms available soon). August 30 — Applications close for Commercial Maker and Non-Profit / Agency / Cause / or Mission Based Organization Payment Due. This is only for makers who fit these categories. September 15 — Late Applications Close. *Applications submitted after the close date will be reviewed, but are not guaranteed acceptance in the event. Take advantage of the time you have now to prepare for your project. Note that exhibits with hands-on opportunities are given priority. We look forward to receiving your applications to exhibit! We’ll list makers on the site as applications are accepted. An all-weekend exhibit to show-off your project(s), to demo or discuss how you made them, and to inspire people to make (includes Individuals, Groups, Schools, Non-Profits and Commercial Makers). 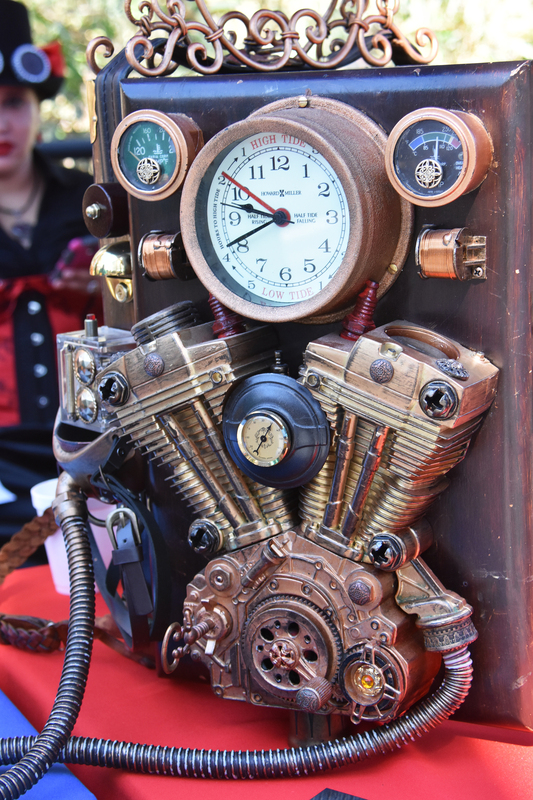 Individual Makers who exhibit their projects at Maker Faire receive booths for FREE! See below for special rates. A scheduled performance, usually on a stage, set lengths vary. Musicians, lively demonstrations, and all a manner of shows. A scheduled 12, 25, or 45 minute presentation, usually on a stage. Requirements and benefits are listed in the Entry Form. Limited positions are available. Corporate entities and/or established companies can visit our Sponsor Page or contact cody.nelson@bpcp.org. Positions fill quickly. *If you are interested in a booth AND a stage performance or presentation, please submit two (2) separate applications, with your FIRST being the request for a booth space. Special rates for Makers-who-Sell (Vendors), Small Companies, Non-Profits, and Corporate entities. There are certain types of booths for which there are fees. Individual Makers – Individuals who just want to exhibit their projects at Maker Faire receive booths for FREE! Booth Fee $150 – If you would like to market or sell your creations at Maker Faire, you are welcome to do so. This type of exhibitor (with revenues of <$100K) is responsible for their own business permits and financial transactions – whether they be via cash, credit card, barter, or some other means. Booth Fee $500 – This type of exhibitor is a business or non-profit with revenues < $1M. Booth Fee $1,000 – This type of exhibitor is a business or non-profit with revenues $1M-$3M. Please note: The booth cost will be invoiced after you are accepted and asked to register, in advance of Maker Faire and will be payable prior to receiving your Maker credentials. Fees include a standard maker booth. If you need more space, please contact us and tell us what you need. We’ll do what we can to accommodate and assist! We’re looking for exhibitors, performers, and speakers! Roaming Exhibits: If you have an exhibit that will roam during the show, please let us know if you require a location for your use as a home base for non-roaming activities. Mechanical tinkerers, hobbyists, artisans, craft enthusiasts, costumers, tech lovers, artists, and inventors of all kinds are welcome to exhibit! And whatever else you make! “I believe we are all makers. We can find all kinds of makers in our communities. Yet we also want to help create more makers. Through education and community outreach, we can offer the opportunity to make things to more people, but particularly children. They might find these opportunities at school but also at community centers, summer camps and science centers, or even at home. My goal is that all people, young and old, come to see themselves as makers, creators and doers because I know that the people who have the skills and knowledge to make things have the power to make the world a better place. If you are having trouble with your application, please contact sdmakerfaire[at]gmail[dot]com. ¿Necesita ayuda en español? Contáctanos por email para obtener asistencia. Making Math Makes Sense. MathHappens is using maker technologies to make mathematics concepts touchable, interactive and interesting in new delightful ways. We are excited to show our work and learn from other makers as well.